Olga Spitzer, 102, of Lodi, died Sunday, September 23, 2018, from natural causes. She was born July 31, 1916 in Leola, South Dakota, and moved to Lodi with her husband, Leo Spitzer and infant daughter Donna, in 1937. Mrs. Spitzer was employed at the School Street Fabric Shop from 1948 to1951. She was also employed at the Newfield’s Department Store from 1952 until 1969. Mrs. Spitzer’s interests were, sewing, camping, crocheting, and visiting the Grandchildren and the Great Grandchildren. 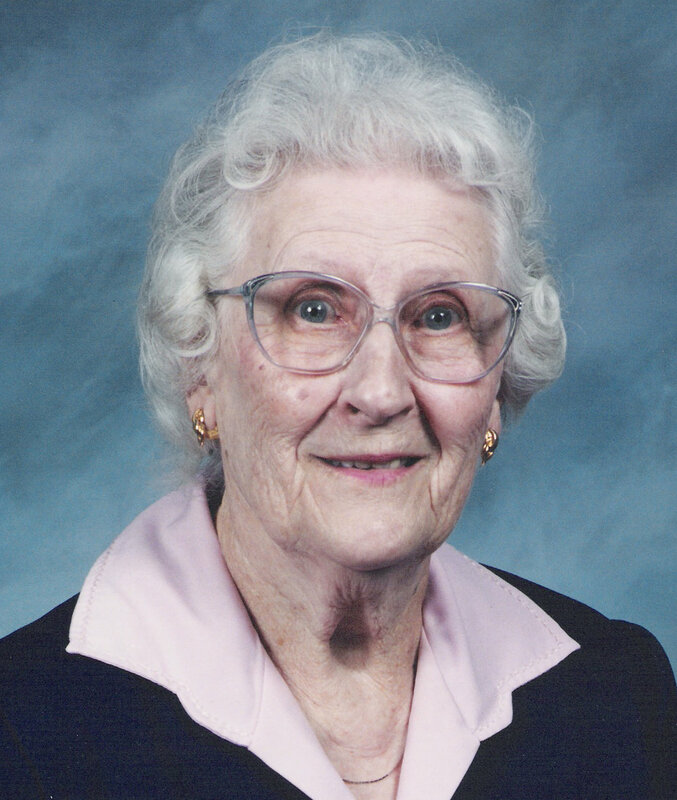 Mrs. Spitzer was a member of St. Peter Lutheran Church, and the Lutheran Women’s Missionary League. Mrs. Spitzer is survived by brother Victor Marquardt (Anita) of Galt; four Grandchildren, Peter Wagenman, Patricia Rodriguez, Dana Lemmon and Nicole Spitzer Lugo; seven Great- grandchildren, Jacob Wagenman, Michaela Lemmon, Paige Hall, Jill Antonovich, Weslie Lemmon, Ashley Lemmon and Dustin Huntzinger; and survived by four Great-Great-Grandchildren. She was preceded in death by her husband Leo Spitzer in 1999, daughter, Donna Wagenman in 1997, son Fred Spitzer in 2014, Sister Gertrude Maier of Lodi; brothers, Mike Marquardt of Sacramento, Rudy Marquardt of Minnesota, Bill Marquardt of Sacramento and Martin Marquardt of Castro Valley. Memorial Contributions may be made to Saint Peter’s Lutheran Church. There will be a visitation on Thursday, September 27, 2018 from 10:00am - 8:00pm at the Cherokee Memorial Funeral Home located at 831. E. Industrial Way, Lodi, CA 95240. A graveside service will be held on Friday, September 28, 2018 at 10:00am at Cherokee Memorial Park, located at Harney Lane and Hwy 99, Lodi, CA 95240 14165 N. Beckman Road, Lodi CA, 95240. Cherokee Memorial is honored to serve the Spitzer family.